Larnaca is the palm-tree nirvana of Cyprus. With an urban population of 84,591 residents, it is the third-largest city in the country. Larnaca is the idyllic chance to experience the luxurious seaside. Touristic attractions of this superb coastal city, includes Larnaka Fort, the Turkish Mosque, the Tomb of Lazarus and the Larnaca Archaelogical Museum. Cheap flights to Larnaca are now available for a limited period of time, so get ready to be swept away by this buzzing city! 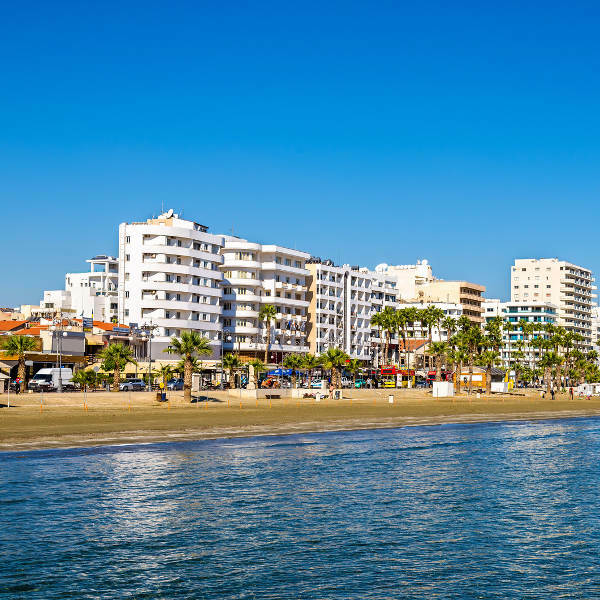 Larnaca is home of Larnaca International Airport (LCA), which is located a short 10-minute drive from the city centre. Situated in the centre of town, Finikoudes Beach is a prestigious beach in south Cyprus, with grey sand that emulates the surface of the moon and inviting calm waters. 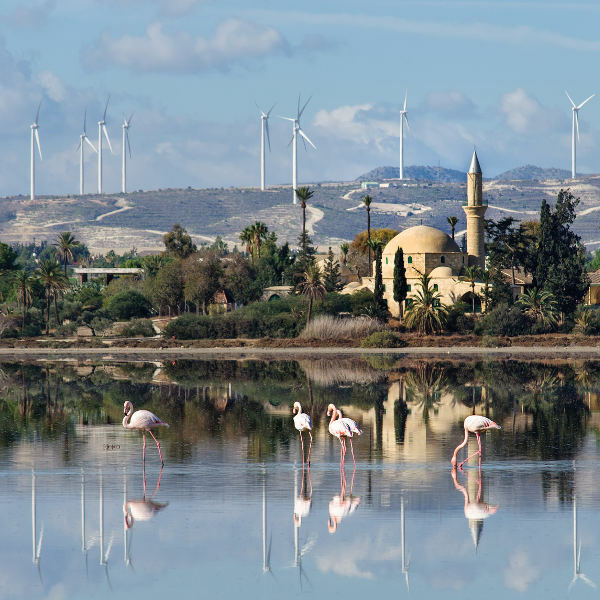 Larnaca’s nature reserve is a joyous sight to behold. The Salt Lake attracts large flocks of stunning flamingos. During summer, the water evaporates, leaving a shimmering white layer of salt. 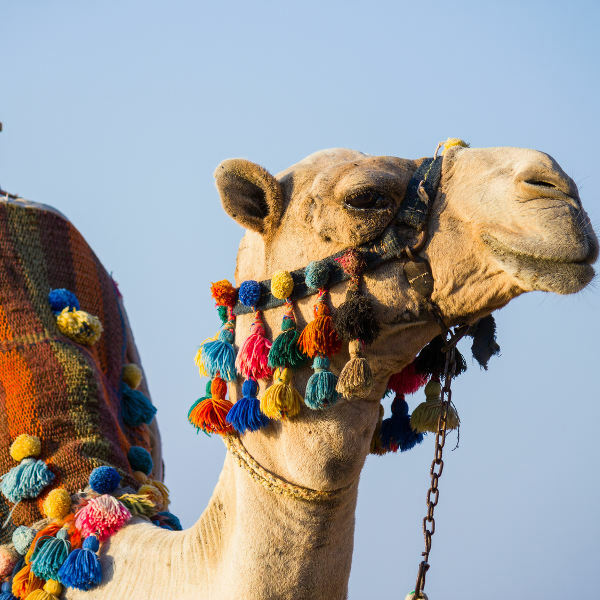 Tourists can enjoy camel rides in the countryside of Mazotos village. Located only 15 minutes away from Larnaca Airport, the camel park serves to entertain the entire family. Larnaca lies at a low altitude on the Mediterranean coast. It enjoys a scintillating climate throughout the year. The months of April and May are the best times to visit Larnaca, as the weather is blissful. Summer (June to September) can be quite fierce, with a scorching hot sun and hardly any rainfall. Temperatures range between 35 degrees Celsius and 40 degrees Celsius. There is an abundance of festivals to be enjoyed during summer. Winter (October to March) sees an average temperature of 15 degrees Celsius, and it rains frequently. Vivacious swaying palm trees come to mind when one mentions Cyprus’ seaside city, Larnaca. The old town is just a few steps away from the exotic beach front. With influences of the Turkish, Larnaca is home to historic architecture and the crumbling Turkish Quarter. Traditional arts and crafts of the region can be found in the Turkish Quarter. Larnaca has beaches spreading over 25km attracting young and old to bathe in her Mediterranean bliss. With no less than six museums, the city is rich with archaeological knowledge that will dazzle tourists. The genuine Cypriot atmosphere can be felt along the coastal promenade - known as the Finikoudes. Restaurants, cafes and bars line the beachfront creating a sensational liveliness amongst tourists and locals. Compare several airlines, and book your cheap flights to Larnaca online at Travelstart! Travelling to Lanarca does not require any special vaccinations or medications. However, it is advised to obtain your routine vaccinations, which include measles-mumps-rubella (MMR) vaccine, diphtheria-tetanus-pertussis vaccine, varicella (chickenpox) vaccine, polio vaccine, and flu shot. Tap water is safe to drink, but tourists are advised to purchase bottled water. Be cautious when ordering and eating seafood and shellfish. Ensure that it is cleaned properly and cooked at a high temperature. Lanarca is considered a safe city, the crime rate is quite low. However, with any major city it is advised to maintain vigilance when touring these cities. • Always keep your personal belongings with you, or in a safe space. • Be extra cautious when walking around the city at night.